Once upon a time in B.C. 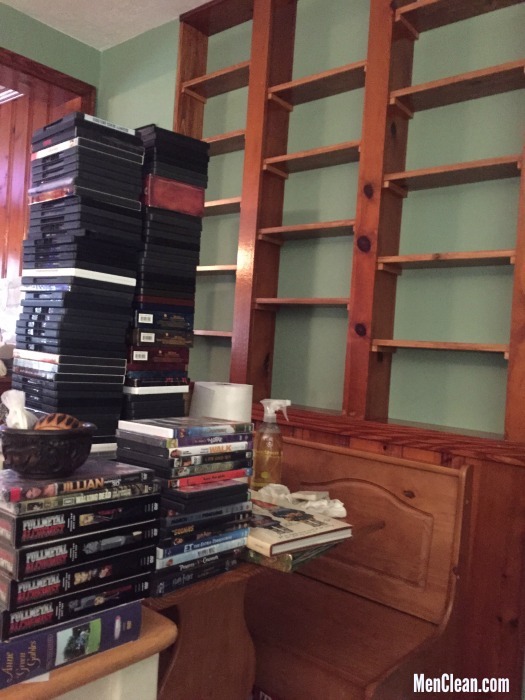 (before children) my husband and I used to love to get DVDs to add to your collection. Staying at home, having a movie night by cooking dinner, making dessert, and snuggling watching a DVD with some popcorn was one of our favorite dates. After our first daughter was born we tried to justify continuing to add to our DVD collection by saying that it was cheaper than going out to see a movie and that it was important to still have date night even if we could not get out of the house. 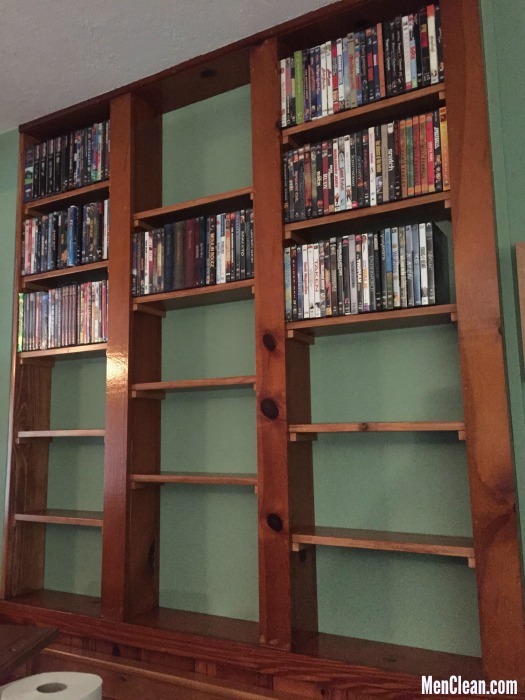 By the time our son was born, we realized that we would never get a chance to watch the many many movies we collected. But we continued to hope for a return to our B.C. days and we built a nice area into the walls between the studs to house our collection. Over time it has become cluttered and messy. Now that we are expecting our third child I realized that we needed to let go and learn on how to organize dvd collection. First, I took everything down and scrubbed and cleaned the area. Next, I sorted through and separated all of the “kid” DVDs. I then took a hard look at the remaining DVDs and got rid of everything that there was no chance we’d ever watch again. 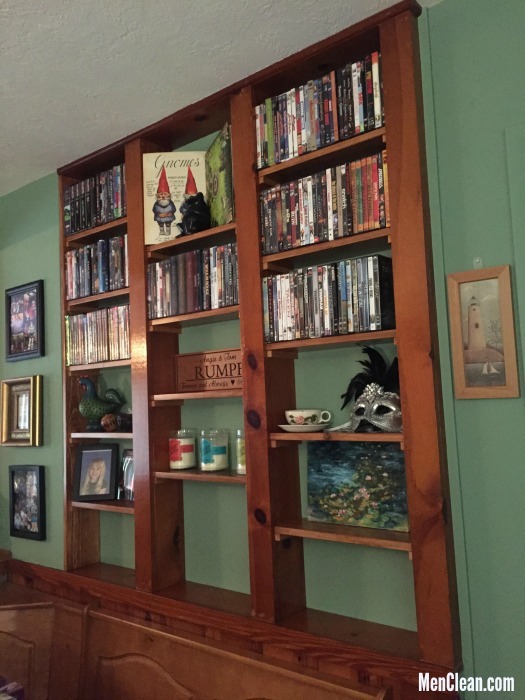 Finally, I alphabetized all of them (except the “kid” DVDs) and put them back on the shelf. What a difference! The kid’s DVDs have now gone into a new area where the kids have easy access to them without ransacking our DVDs. 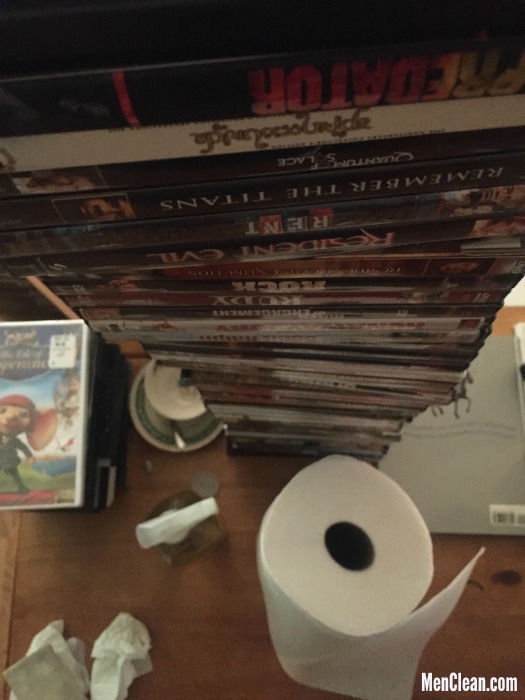 At the end of all of this, I realized that it might be possible to watch some of these DVDs again. It may be awhile before we can get back to doing it regularly, but with them all being so neat and organized, it seems more doable now than it did in the past!